Shop online for 15 free flight airplane accessories at discounts up to 28%. This is Guillow's tissue paper for covering balsa kits. It is 00 (light) white tissue paper and can be used for a variety of projects. This is Guillow's 5/16" nose gear bearing, to be used with many of their own rubber-powered planes, or any other plane kit which calls for this size bearing. This is Guillow's propeller shafts. 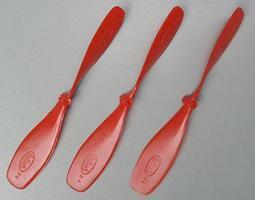 The package contains 4 replacement shafts for the rubber powered airplanes. These are Guillow's 1"plastic wheels to be used on their rubber-powered planes. These can be used on a variety of craft projects. 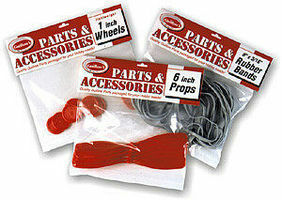 This is a Package of Eight 1" Plastic Half Wheels from Guillow's. These are Guillow's 1 1/2" 2-piece plastic wheels to be used on their rubber powered planes. These can be used on a variety of craft projects. These are Guillow's 3/4" plastic wheels to be used on their rubber-powered plane kits. These are Guillow's 1 3/4" 2-piece plastic wheels to be used on their rubber powered planes. These can be used on a variety of craft projects. These are Guillow's 2" 2-piece plastic wheels to be used on their rubber- powered planes. These can be used on a variety of craft projects.